"Can't act. Can't sing. Balding. Can dance a little." So read the RKO screen test of none other than...Lassie! No, not really. 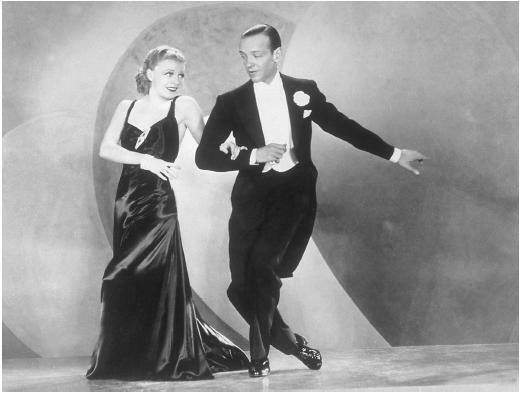 We're talking about today's birthday boy, Fred Astaire, who soft-shoed into the world today, 1899. Astaire went into the world of dance with his older sister on the Vaudeville circuit. By 1917 the duo was appearing in big-time musicals on both sides of the Big Pond. Fortunately for all of us, his sister married a British aristocrat and decided there'd be no more professional dancing for her. This left the little brother to re-invent his career. He landed work in a Cole Porter musical, Gay Divorce. From there--failed screen test aside--it was on to celluloid. As far as the world of radio, in 1936 he hosted the Packard Hour, whose colloquial name was "The Fred Astaire Show." He also graced Bing Crosby's variety program late in his career. Let's salute Fred Astaire!